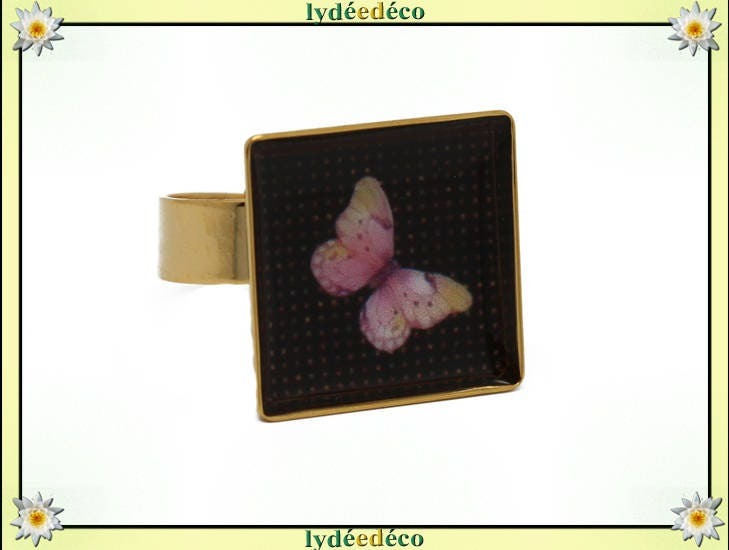 Resin ring with Golden brass gold 24 K, butterfly, square shape, pattern in pastel colors pink yellow black. Illustration printed on quality Premium glossy photo paper, covered with a layer of resin. 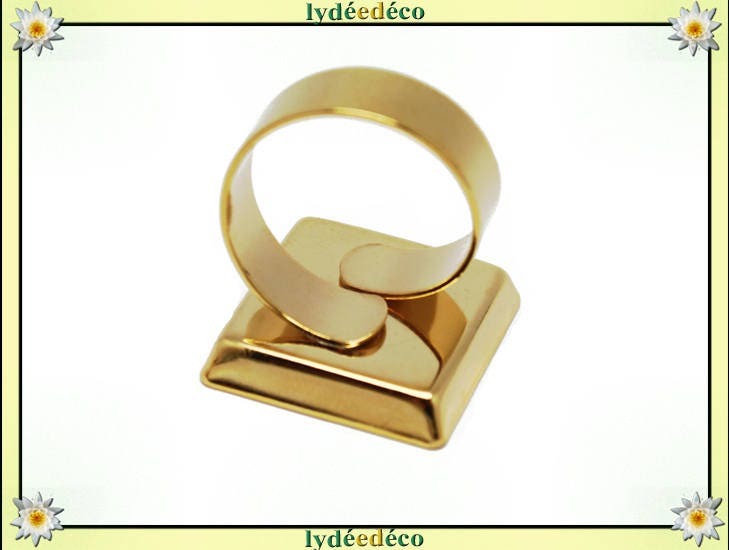 ☼Les brass gilded with 24 K gold rings are available with different colors in my shop. ☼proposees in a limited series, the designs are customizable as you wish, feel free to contact me for other colors!